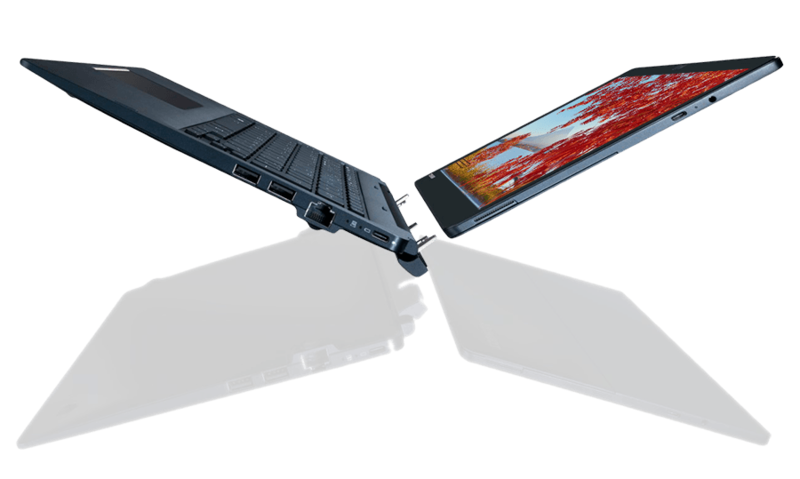 The Dynabook Portégé X30T is a tough, high performance 13.3" magnesium alloy kickstand tablet for corporate environments with Pen and Touch and your choice of detachable ultralight Travel Keyboard or extended-battery Keyboard Dock. 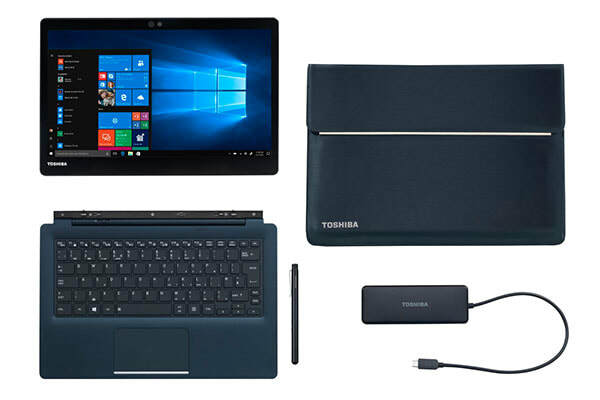 As a wireless tablet, with or without Travel Keyboard, the Toshiba Portégé X30T provides easy big-screen interactivity for presenters, ample power for creative software including Adobe Photoshop, and native support for OneNote. 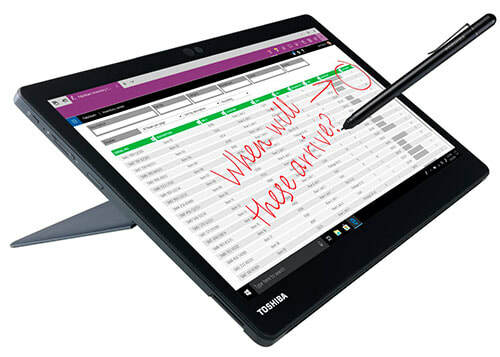 ​Write, draw and annotate almost anywhere on screen with the Dynabook Universal Pen. External display support via USB-C port with VGA, DisplayPort or HDMI adaptor, or Miracast wireless display. With the optional Keyboard Dock, the Dynabook Portégé X30T is a powerful ultraportable laptop for enterprise users. 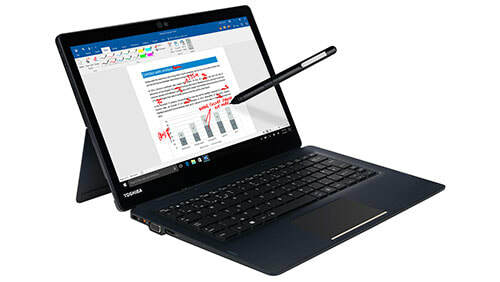 ​Featuring an internal display with a native resolution of Full HD 1920 x 1080, the X30T provides resolution-matching for most enterprise external monitors to eliminate scaling issues, while ensuring buttons, text and links in custom or enterprise desktop software used by businesses are big enough to be easily viewed and used. 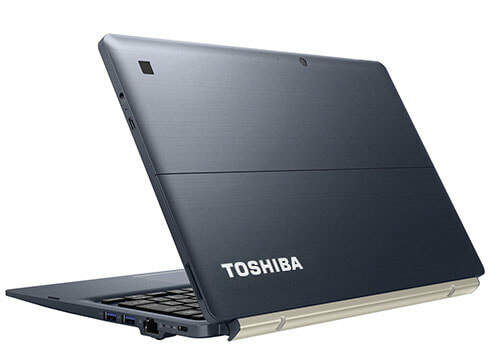 Full performance Intel Core i5 or i7 Quad Core power with up to 16GB memory and 1TB SSD storage. Keyboard and base USB-C port not accessible while keyboard is attached. Other connectors: Bluetooth 4.2, 802.11AC WiFi. Base USB-C connector not accessible when keyboard is in use.